A 29-year-old South Carolina man whom some might describe as being as cuddly as a cactus and as charming as an eel sought to steal Christmas from his fellow neighbors by allegedly lighting fire to their decorations. According to The State, the real-life Grinch, known to police as Cameron Lewis Baun, allegedly "burned down the Christmas decorations [in a] suburban Charleston neighborhood." Baun was arrested on Friday after police received a call about a crazed arsonist setting fire to multiple properties in the Arbor Walk community in Summerville. "Police said Baun lit up a snowman decoration that was in the front yard of a home," reports the The State. "Baun was detained for burning Christmas decor at another home when officers arrived, police said." At the time, the Summerville Fire Rescue was attempting to extinguish a house fire that Baun had allegedly set. The homeowner was not in the residence at the time of the fire. As noted by Newsweek, Baun is just one of many Grinch-like figures who are accused of trying to ruin Christmas with their own brand of Grinchery this year. In New York, a substitute teacher lost her job when she told a class of first-graders that Santa Claus did not exist. Parents were so outraged that the school principal issued a public apology. "As a father of four myself, I am truly aware of the sensitive nature of this announcement," said Principal Michael Raj, "I am sending this letter so that you are aware of the situation and if the conversation comes up at home over the next few days you can take appropriate steps to maintain the childhood innocence of the holiday season." One parent told News12 her daughter was extremely upset over the whole ordeal. "I was heartbroken. You know, my daughter is the hugest believer in the whole Christmas spirit - Santa, giving," said the parent, who assured her daughter that there is a Santa Claus. 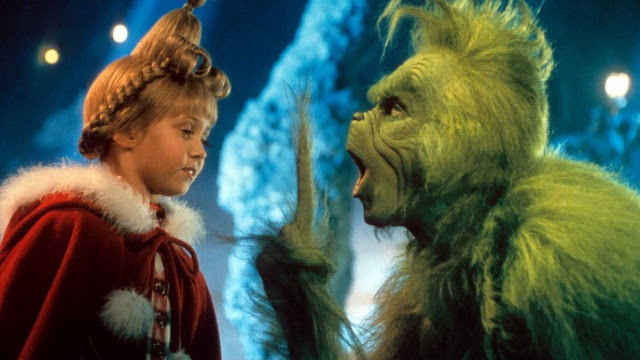 In Australia, another Grinch allegedly stole a man’s wheelchair while wearing a Santa hat. "The 39-year-old man was accused of helping a 54-year-old wheelchair-using man in a public toilet before stealing the man’s electric wheelchair and leaving him stranded," reports Newsweek. "The suspect was charged with theft and the victim was helped by a passerby after an hour of being stranded." In Oklahoma, a popular neighborhood light display that attracted people from outside the city was reportedly shut down for a brief period after a rowdy group of teens vandalized it by stealing lights. ​The light display involved 21 neighbors who spent an entire month to put them up. One tree alone included over a thousand lights. "Why do it? What good did they get out of it?" said an Oklahoma resident. "It's frustrating because you do a lot of work and try to get it all nice and looking nice for everyone else. We have tons of people that come through and people travel from Enid, or lots of places, long way away, just to come down and do this. It`s part of their family traditions."